Respectful to our amazing local ingredients, our menu will be ever changing to allow us to use the freshest most seasonal ingredients. Wonderful food, wine and ambiance made my Birthday lunch extra special! We have been to Liquidity several times. The food is good, service fine. We were very disappointed this time as we forgot to show our BCAA card and before leaving the restaurant went back and asked for our discount. They would not honor it; they said the transaction was complete. So disappointed that they would not void the transaction and rerun. What a beautiful location with excellent service and an amazing meal. Had the seafood eggs Benedict—perfectly poached eggs and so flavorful!!! Amazing lunch. I had the duck cubano sandwich. Incredible Flavours on homemade bread with house made hot sauce. I can’t wait to go back and try everything on the menu. I had the seafood eggs Benedict, they were the best I’ve ever had. Going back this weekend for more. Beautiful venue excellent roast chicken and short rib. Intriguing scallop confit dish. Elegant decor and endless views over the infinity pool make this a special place. We had the distinct pleasure to be the first people to enjoy Liquidity’s newly created Tasting Menu. Each of the courses was a culinary experience nearly beyond words. Chef Matt’s creativity is matched by the respect and love he shows for his locally sourced ingredients. Textures, flavours, layering and unbelievable presentation... which were paired perfectly with wines from Liquidity — it was one of the best meals we have ever had. Service at the tasting room and for lunch was top notch. Food was insanely creative and well priced. I tried so many new things. The food was amazing, had the braised beef hash from the brunch selection, it was awesome. Others had the soup and sandwich of the day, they thoroughly enjoyed it. Highly recommend this place to everyone who wants to experience unique food with fantastic flavours. Can’t wait for next season to see what the chef creates. Although we learned of Liquidity the good 'old fashioned way' - by word of mouth - and had high expectations based on the recommendations, we were blown away. 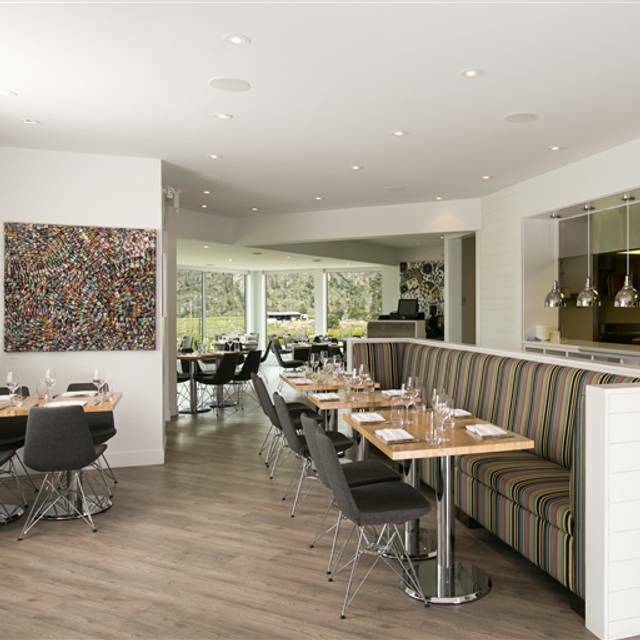 It is an absolute hidden gem with extraordinary cuisine, great staff and delicious wines and there is little question why it has been named one of Canada's Top 100 Restaurants. And to top off the experience it was very affordable. 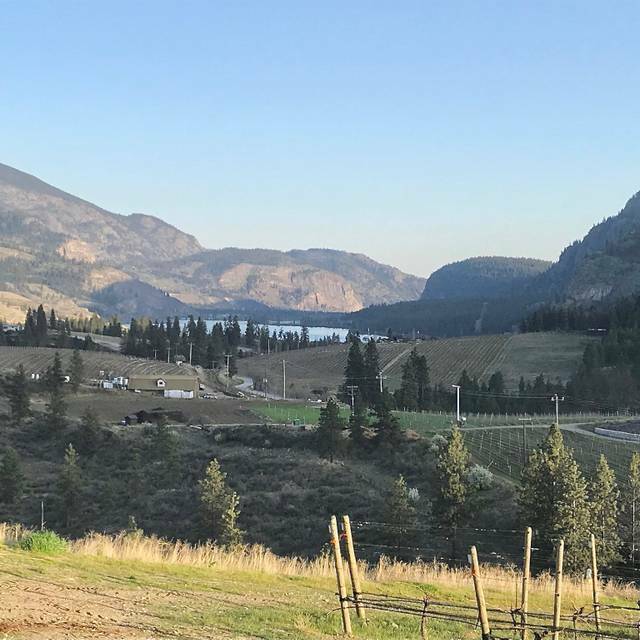 If the weather permits, and it usually does in the South Okanagan, ask for an outside patio table; you will enjoy the most extraordinary view of the South Okanagan looking south over toward Noble Winery and Blue Mountain, set above Vaseux Lake. Liquidity is special and memorable in every respect. Great atmosphere for a quiet private date night. 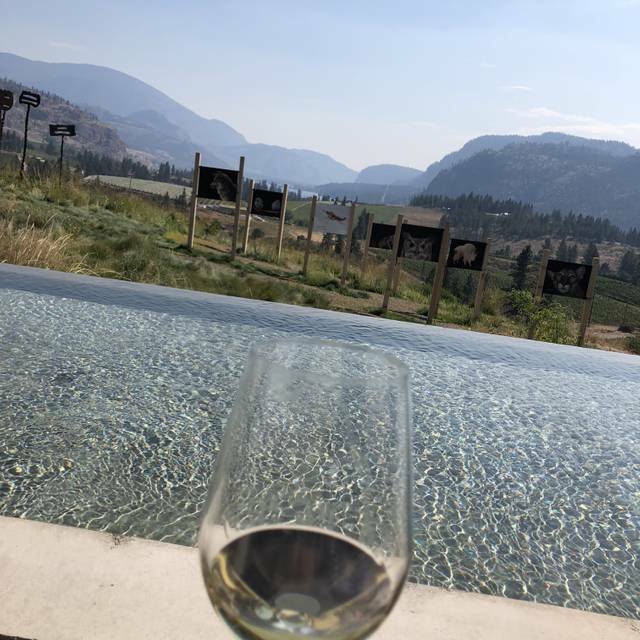 Staff were very knowledgeable about their wines, menu, and were able to answer all extra questions we had regarding the menu and wine pairings. We look forward to another meal at Liquidity! Great menu, great service, great flavours, very good wine. Really enjoyed our lunch, sandwich of the day was an amazing wagyu burger. Shellfish dish had such wonderful flavours and we ordered some of the delicious house made sourdough. Service was really great, casual but on point with all the necessary details. Kevin our server was so informative about the food, ingredients and the area. Thoroughly enjoyed our visit and would highly recommend. Enjoyed and excellent meal with wine pairings after wine tasting. Amazing views. The food and wine were wonderful and the staff was very knowledgeable about allergies. The setting is beautiful with wonderful scenic views. The only problem was the noise level. The tasting bar was busy and most tables were occupied. It was actually difficult to have a conversation because the noise reverberated from the bare walls. Hopefully some sort of noise absorption could be implemented. Wonderful view with intimate setting. The foid is excellent, it meets the expectations of this prive range. Thank you for the opportunity to comment on my evening at Liquidity. Everything was very acceptable with one exception... the portion of Black Cod was quite small. The presentation was exceptional but I would have added a bit of Colour eg nasturtiums to give the plate a bit of pop. Delicious tastes perfect ambience and most attentive staff. Thank you for a most exquisite night. The food was delicious. The chorizo hash and lamb meatball dishes were great. The presentation beautiful. The setting was amazing and the artwork wonderful. Overall it seemed to me and to my dinner guests that Liquidity was trying too hard. I appreciate the attempt at cutting edge food preparation (smoked hay, pumpkin 4 different ways, and sunflower ice cream etc).
" kitchen scraps"....they tasted like it). Also the price point was a bit high...for that money I would have thought i got the whole pigeon. Finally the lighting in the room felt like a cafeteria. We asked that it be turned down and they obliged but pot lighting is not fine dining. Welcoming atmosphere. Quiet enough to have a nice conversation with friends. Varied and interesting menu. Delicious food and wine. Polite service. Not sure what has changed since we last visited the bistro a year ago, but food was not very good compared to other wineries in the are. Fantastic view, great wines, spectacular food. It's a great evening out! Amazing food, service, wine and location. One of the best restaurants I have been to in a long time. Food was absolutely stunning. Beautiful, flavourful and impeccably prepared. For the quality of the food the price was on par with other top tier restaurants. Service was topnotch but not uptight, very friendly server named Cara and lovely restaurant owner. We were made to feel very welcome. We thoroughly enjoyed our experience and would highly recommend. Totally disappointed. The new menu was pretentious and left us thinking about what to grab to eat on the way back to our hotel. There were only two other tables seated in the restaurant yet we waited an inordinate amount of time to be served at every turn. 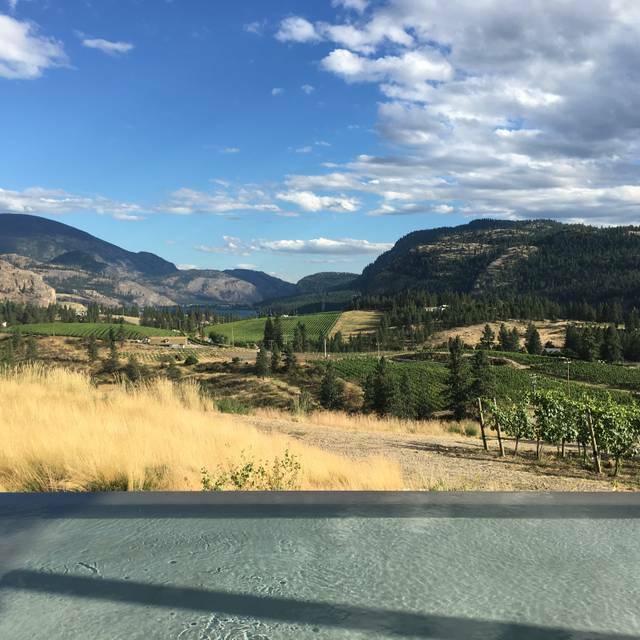 We visit the Okanagan every year, but will be giving Liquidity a miss moving forward. Excellent service in a beautiful setting. Nice to have small plate options. 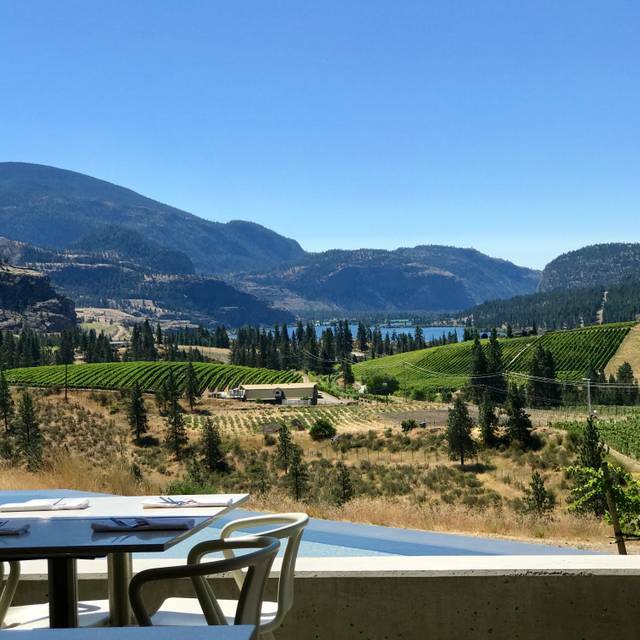 It was a lovely spot for a birthday lunch....great view, great food, great wine....the only thing I could have asked for was a giant fan to blow all the smoke away....but we were still able to see the beautiful view. We have always had outstanding meals and service at Liquidity. A real treasure in the wine route. 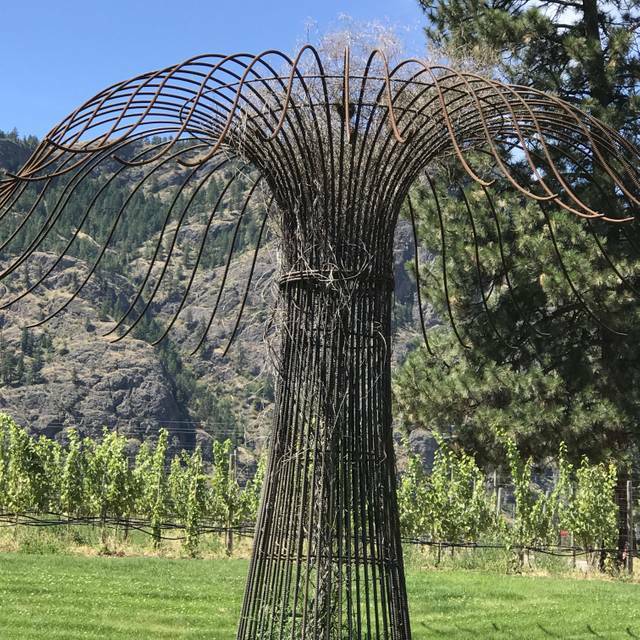 First visit to Okanagon , and had good visits to a few Wineries. Enjoyed the dinner and wine at the Liquidity Bistro. Price was reasonable, and the service was very good. To top it off, there was an electric charger for my Tesla. 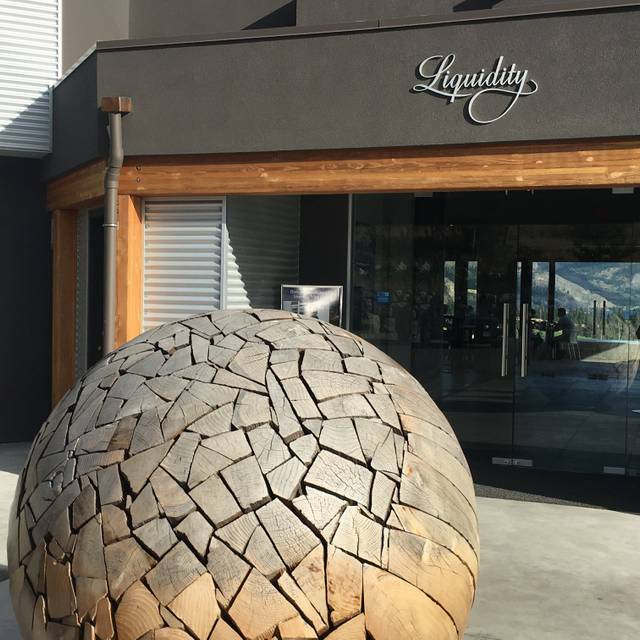 Liquidity is one of our favourite winery/. Restaurant. 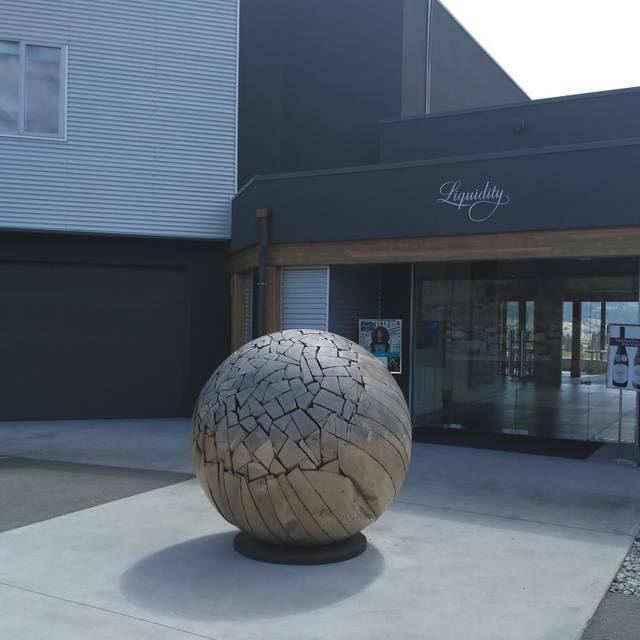 The view is fantastic, the food is fabulous and the service is always excellent. Pretentious food and we left the restaurant hungry. Also a big fly problem. Hidden gem! Excellent food and wines. We really appreciated the high end but unpretentious atmosphere with our kids. The food was delicious. The creativity in using unusual ingredients was very inspiring. The view iconic. Can't say enough about our total experience. The chef prepares a very interesting menu selection!! Had lunch at this restaurant last year and it was amazing. We went back for dinner and the food was very disappointing. I am guessing that the kitchen staff have changed. The food was phenomenal, but after 2 appetizers, a small plate entre, 2 large entres, and a dessert, my date and I left hungry. The atmosphere was lovely, and the service was great, but we've been here a few times before and we were not as impressed this time. There are other places with better value in the area. This was our second lunch at Liquidity, this time with close, life-long friends. We thoroughly enjoyed our visit and even witnessed a marriage proposal (with a happy outcome) at the table next to us. It was a hot afternoon, so we would have preferred some shade from an umbrella while seated outside; even a mister would have made our time more comfortable. The food, especially the pizza special, was very good, in my view rivalling my favourite Neopolitan pizza in East Vancouver. I highly recommend Liquidity for the contemporary ambience, food, and spectacular view. Service was exceptional and the art collections on display are always fun to go and see. 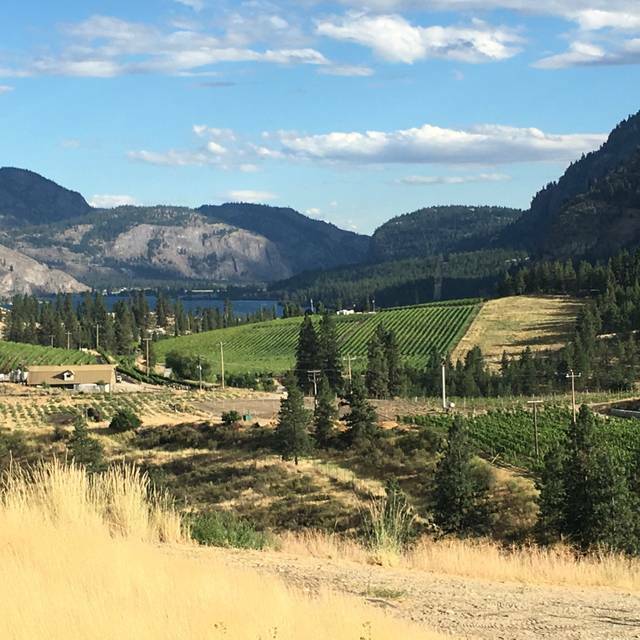 Definitely worth the drive from Kelowna. Menu was interesting and very well cooked. Service was prompt and attentive although our wine was mixed accidentally which put right. Quantities were a bit too small - especially the squab but overall very well done and I will definitely be back.